Indoor air quality has become increasingly important to homeowners. Year round temperature control inside homes results in windows that are seldom opened and air that is continuously recycled. Skyrocketing energy costs have accelerated the sealing off of homes from the outdoor environment. Many homeowners believe that their air handler filters can play a larger role in the quality of air inside the home. Towards this end they spend money on expensive furnace filters in the hope that that will significantly improve the air quality in their home. To affect air quality in your home you will need an air handler that is capable of 10 to 15 air changes per hour. Typical residential air handlers average only 4 to 7.5 air changes per hour if run continuously and may only operate twenty minutes or less out of every hour on auto. After reading above you now know that your system is not optimized to affect indoor air quality. You may have made maters worse by installing a “high efficiency” filter. 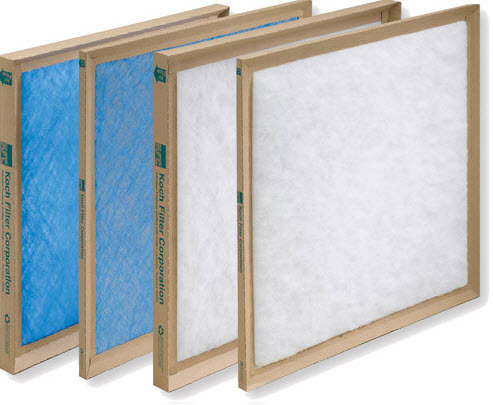 A filter that has high efficiency (catches more and smaller dirt) has a low air flow. It is simply more restrictive. Low air flow will result in inadequate cooling or heating. In order to efficiently cool or heat your home your system needs optimum air flow. this is achieved with a less restrictive filter. The purpose of the filter in your system is to protect the air handler components only, not to affect air quality. Save your money and buy the least restrictive filter for your system. In the long run you will save on energy costs as well simply because your system will run less to do more work! An Independent Home Inspection can save you money over the life of your home. Click me for more information.